You know that list of Top 10 all-time favorite songs I've mentioned here before (although I still haven't put together an actual list)? This song is on it. "Lovely Day" by Bill Withers was released in 1977 and charted at number 30 on the Billboard Hot 100 chart. 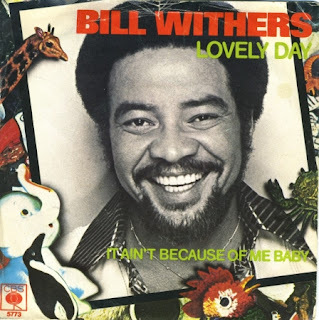 A little note of trivia -- Bill Withers holds a note for 18 seconds near the end of the song. Do you remember this one? It is pure musical happiness for me.